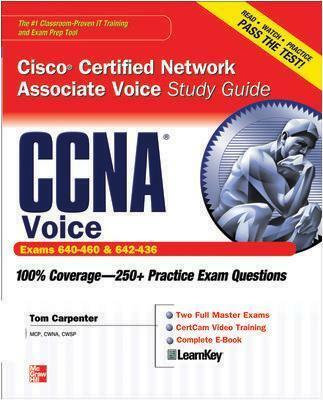 The Best Fully Integrated Study System Available for Exams 640-460 & 640-436With hundreds of practice questions and hands-on exercises, CCNA Cisco Certified Network Associate Voice Study Guide covers what you need to know--and shows you how to prepare--for this challenging exam. Tom Carpenter is a technical experts expert. He teaches in-depth courses on Microsoft technologies, wireless networking and security, and professional development skills such as project management, team leadership and communication skills for technology professionals. Tom holds a CWNA, CSWP and Wireless# certification with the CWNP program and is also a Microsoft Certified Partner. He is married to his lovely wife, Tracy, and lives with her and their four children, Faith, Rachel, Thomas and Sarah in Ohio.